Oops. 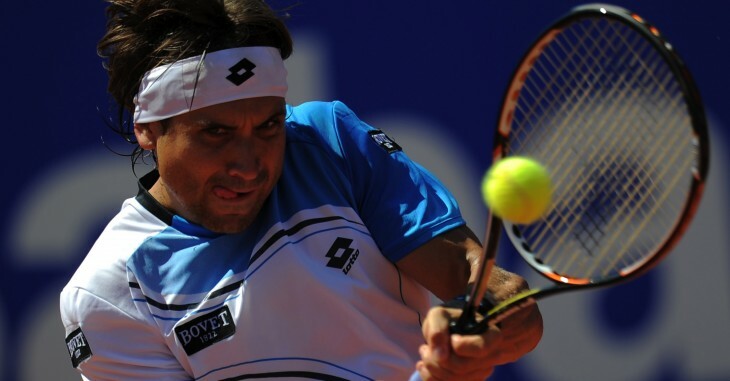 We’ve got another celebrity promotion gaffe on our hands after tennis player David Ferrer sent out a tweet praising Samsung’s new Galaxy S4 smartphone from an iPhone, as noted by AppleInsider. 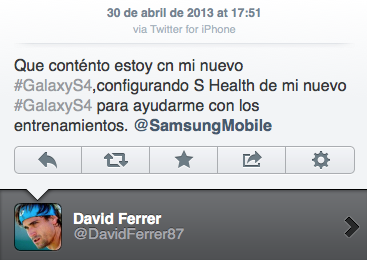 The tweet noted that he was happy with the S4 and was using the new S Health feature to help with his training. The post was quickly deleted and replaced, but not before the mistake was noticed. If you’ve been keeping score at home, you’ll remember that Oprah used an iPad last November to tweet praises for Microsoft’s Surface tablet. A similar incident happened in China in March when a group of celebrities complained about Apple on their microblogs as part of a state-sponsored media campaign against the iPhone maker. One of the celebrities forgot to delete the posting instructions from his post, while others sent the complaints from their own iPads and iPhones. Samsung was recently the target of a Taiwanese government probe into whether the company hired students to post negative reviews of HTC devices on forums. Samsung Taiwan has apologized for the incident. I’m kind of amazed that this keeps happening, so let’s go over this again. If you’re going to send out awkward encomiums on social media, please, please remember to send it from the device in question. I’m sure your sponsor’s PR team is happy to help if you’re having trouble using it.